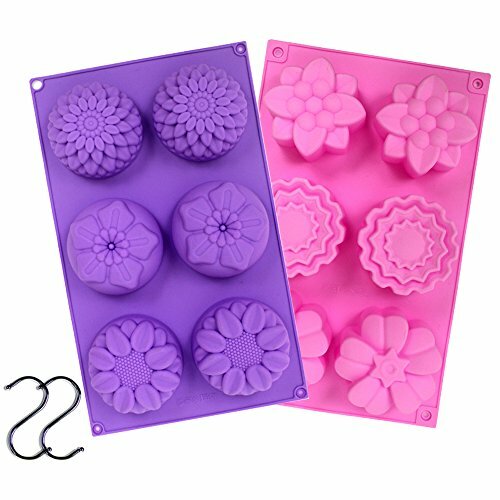 Product Description: Package contains a group of 2 pieces 6-cavity high-quality silicone molds, 2 bonus s hooks. After cleaning your mold, you can use the hook to air dry the mold. You cannot miss this combination as a DIY enthusiast! Share the fun of DIY with your family! Product Size: ☆Pink 6-Cavity mold: 28 x 17.5 x 3.5cm/11 x 6.9 x 1.38 inches -Pink mold cavity: 7 x 7 x 3.5cm/2.8 x 2.8 x 1.38 inches ☆Purple 6-Cavity mold: 28 x 17 x 3.5cm/11 x 17 x 1.38 inches -Purple mold cavity: 7 x 7 x 3.5cm/2.8 x 2.8 x 1.38 inches ☆The weight of your finished flower work is 3 to 4 oz. 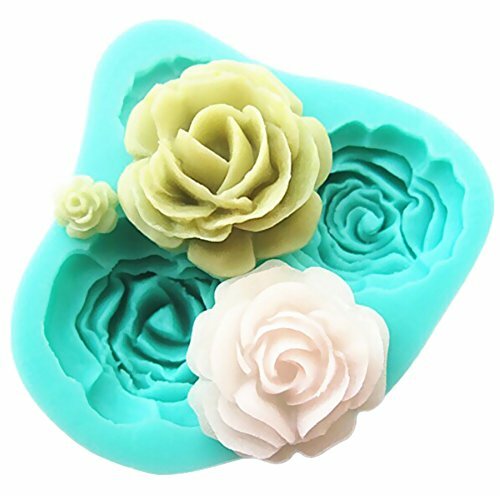 Product Features: ☆Our silicone molds are eco-friendly, safe, breathable, stable and reusable. ☆Usage temperature at -40 degrees Celsius to 240 degrees Celsius. ☆Bright colors, soft and strong, easy to store and use, easy to release, ☆Can be used in the refrigerator, microwave and oven. 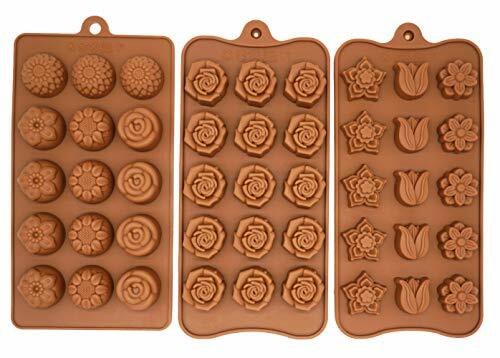 ☆Our molds can be used to make DIY handmade soaps, DIY cakes, moon cakes, puddings, jellies, chocolates, candles, etc. 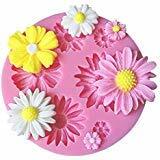 ☆With 6 different flower shapes in each mold to meet your needs, you can share the joy of DIY with your children and friends! Material: SiliconeMold Size:10 x 10 x 1.5cm,7 x 5 x2.5cm,7.7 x 7.7 x 1cmPackage Include: 3 pcsNote: Due to the difference between different monitors, the picture may not reflect the actual color of the item.Use and maintenance1. 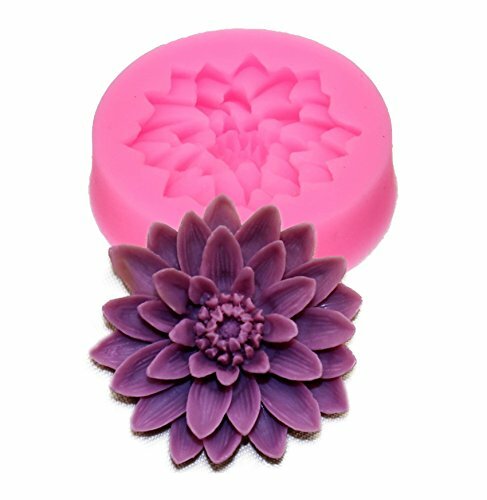 After each use, wash in the dishwasher or use hot water to clean.Make sure the silicone mold before each use and dry completely before storage.2. 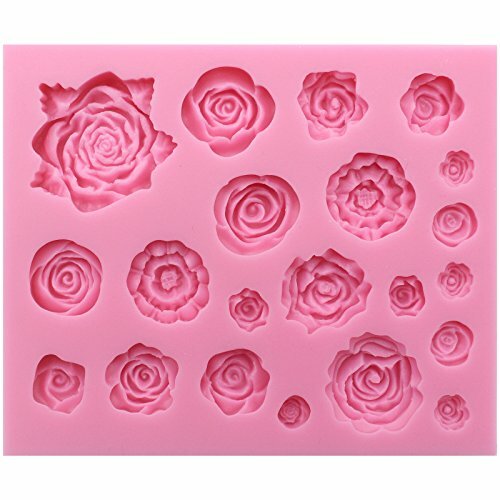 When baked silicone mold should be open in a baking tray.Do not bake it empty.If you only use part of it, please add other parts with water.3. When baking finish, please remove the pan from the oven out, and place the bakery products in the cold rack until completely cold.4. The silicon mold can be used only for the oven, oven and microwave oven, never can be used directly on the gas stove and induction cooker, or direct heating use.5. Do not use the knife or other sharp instruments on the silicone mold, not weight, pulling.6. The silicone mold dust absorption, easily.Long time need not when, put in the carton, placed in the shade.7. Don't rinse with cold water immediately after out of the oven, to prolong service life.If you have any questions or suggestions on our product, please tell us in time. We will give you a satisfactory answer as soon as possible. Color & Style representation may vary by monitor. Can be reused, Easy to use and clean. 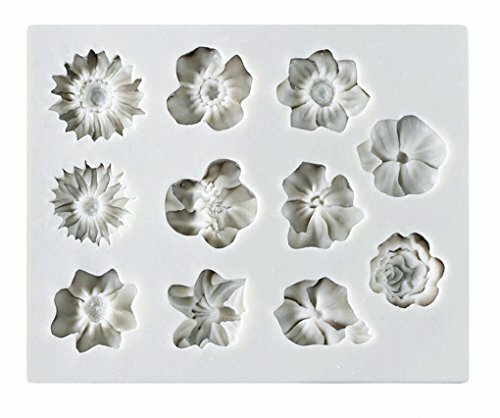 There are 15-cavity flowers on each mold. 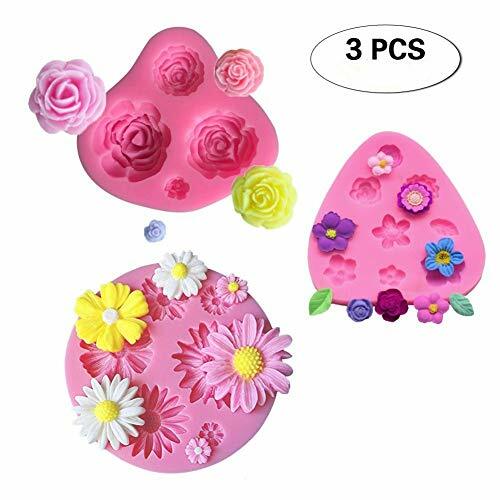 Comply with U.S. FDA quality, non-toxic environmental protection, temperature -40c to +230cDIMENSION: 8*4.33*0.75inch(the daisy), 8.25*4.13*0.63inch(the rose), 8.27*4.13*0.59inch(the tulip). 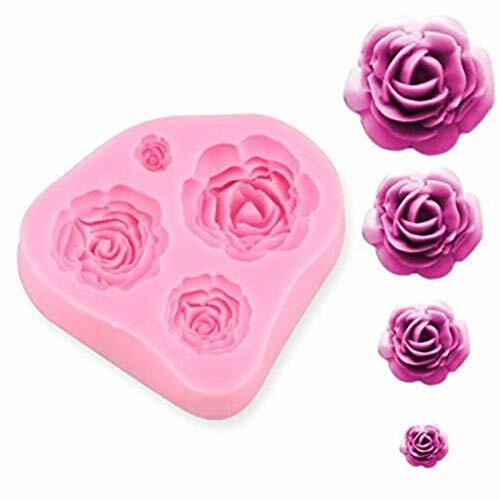 Make candy, chocolate, jello, little candle, little soap, crayons, mints, frozen yogurt, hard candy, ice cube with fruit juice, cake decoration, party favors for birthday and more. 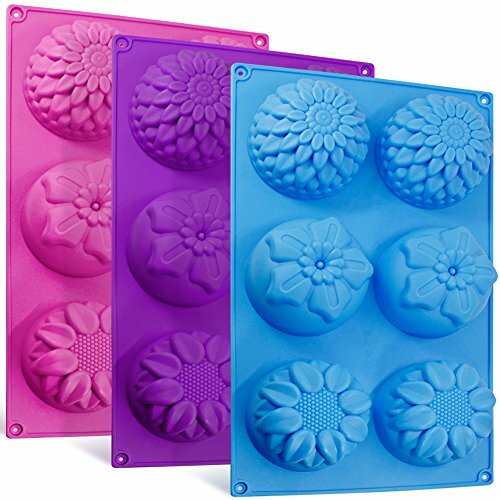 Compare prices on Flower Mold at Elevelist.com – use promo codes and coupons for best offers and deals. We work hard to get you amazing deals and collect all avail hot offers online and represent it in one place for the customers. Now our visitors can leverage benefits of big brands and heavy discounts available for that day and for famous brands.